Linda Jackson, Chief Executive Officer, Citroën Brand, Groupe PSA, was in Chennai at the India reveal of the C5 Aircross SUV. She spoke to Autocar Professional's Sumantra B Barooah and Kiran Bajad on a host of issues including future product strategy, setting up an expansive dealer network, focus on aftersales and happy customers, and why India could become Citroen's largest market outside of China. Citroen has anything but the first-mover advantage in India. What is on your side, other than the confidence on the brand and products, to succeed in this market? I love your question because it's like saying 'You've come late to the market, so what can you find as an advantage?' The advantage is that I have come late to the market, because I can see where some of the manufacturers may have made mistakes which offer us learning. That is one of the first things which is very important when you come to come to a market like India, which is one of the most competitive and with extremely strong players. This is not the first time that the PSA Group is in India. Yes, but it’s the first time for Citroen. Therefore, we have to have a very differentiated brand for whatever it may be. For Citroen, we want to differentiate by design and comfort in our products. What have I learnt? Well, the first thing is that it's very important to have a fresh product because you need to have new products, or animations or new models coming every year to be able to keep the customers excited about the brand. This is exactly what we are planning to do with the C5 Aircross which is coming in 2020. And, 2021 onwards, every year I will bring a new model, or a new animation. Secondly, and that's fundamental, product quality has to be absolutely 180 percent! So the quality standards we will have in our vehicles manufactured in India will be exactly the same as the quality standards we have across the world. The third important aspect is to have the right coverage of the market in terms of selling the vehicle but clearly for me it is to have the coverage for aftersales. Are you looking at any unconventional model for sales and aftersales compared to the established way to reach across the country? What we are looking at is a disruptive approach in terms of how we sell vehicles but also how to get that coverage for aftersales. This may be done by working with partners to ensure access for our customers for aftersales. Aftersales service is equally important or even more for us than the sales part. For me, it stands for the reassurance for our customers. Does this imply Citroen will look at partnerships, say with multi-brand service providers? And digital showrooms too? It could be a combination. The road-show is going to start soon with our local team visiting specific cities to talk to different potential dealer partners. 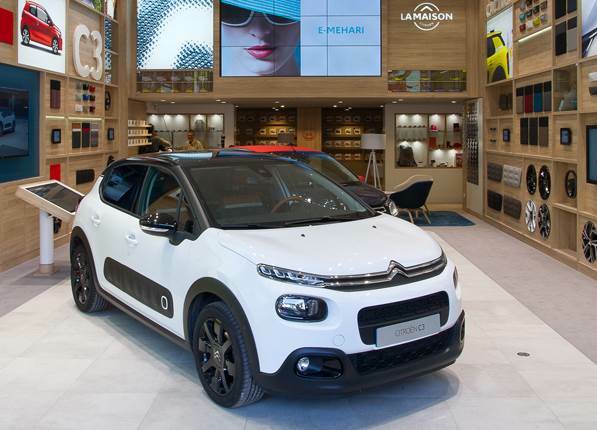 We have taken a concept from Europe called La Maison Citroen – a retail architecture which is rolled out in small, medium and large size dealers depending on the location. The smaller ones, which are very relevant in India, are highly important for us with the combination of physical and digital. For example, what we want our customers to be able do is to configure their car through a smartphone and buy it online sitting at home, or you can go into the dealership and do the configuration on a big screen. Also, when you are in the dealership, you not only get this physical touch but you get this digital experience and the whole brand experience. The PSA Group’s entry into India is now official. In how many markets is the PSA Group present globally? The PSA Group is present in over 90 markets globally and India could be the 91st market. This number could be more depending upon the specific models available in any given markets. But India is going to be a big and important market for us because of the opportunities available. Can we assume that the three new models you plan to bring in to India from 2021 are not in existence today? Yes, none of them are in existence today. We have been working on them for the past four years. Clearly, we have done clinic tests but they do not exist anywhere in the world. The first market we will launch them is India, after which they will go to other regions. How many of these new models will be electric? By 2025, all Citroen models globally will have either a plug-in-hybrid or an electric version. This is the same for India and for any other region. 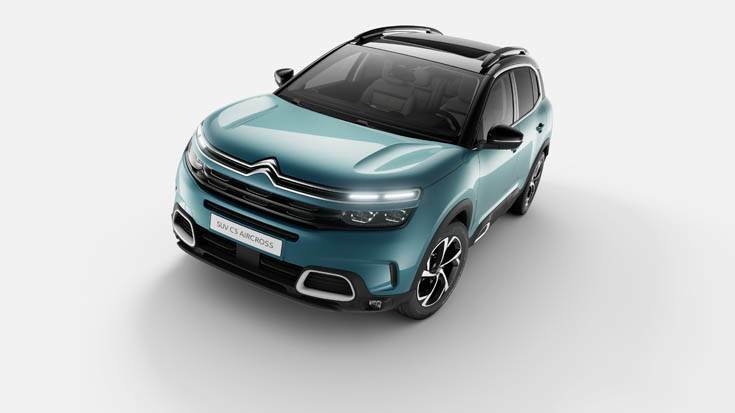 Starting 2020, the C5 Aircross will have a plug-in-hybrid version available in Europe and another region if they so desire. So every model Citroen launches since that point will have an electric version and it all depends on the speed in which electrification is happening in a country. There are some regions in the world that don’t even talk about electrification. The idea is to follow trends of the markets. Could India, in the mid- to long-term, become Citroen’s single largest market outside of China? That is entirely possible. Currently, Citroen's biggest market is France and the second biggest is China. If we take the three auto biggest markets in the world by 2025, everybody says it’s going to be the USA, China, and India. So, the opportunity is enormous. So, why not? It could be. You have been working on the vehicle programme for four years. How many suppliers are involved and how many of them are Indian? Yes, we have been working on this family of vehicles for four years and particularly on the first vehicle which is coming in 2021 and subsequent vehicles. We are aiming for about 95 percent localisation across the whole vehicle. This clearly means we have suppliers on board and have signed up several of the local suppliers – that is the way we achieve our localisation targets. Suppliers are fundamental for us to be able to offer the cost and price to the India customers which will be value for money. I need to get that right.